“In this” — a new birth, a living hope, an incorruptible and unfading inheritance ready to be revealed (see The Abundant Mercy of God Revealed) — there is cause for great rejoicing. The Greek word behind “greatly rejoice” is agalliao, which literally means to “jump for joy.” It is made up of two words: agan, which means “much” and hallomai, which means to leap, spring up or gush like water. It is not a joy that is quiet and sedate but one that is exuberant, ecstatic, animated. It is a joy that will endure, even in the face of all the various, distressing trials that may test it. They only reveal the genuineness of faith. Not just faith as the act of believing, but also faith as the object of our trust: the promise of God we have in Jesus the Messiah. Peter compares it to the refining of gold. There is a Jewish form of argument implied here, known as qal vahomer, arguing from the lesser to the greater. It is the kind of argument Jesus used when He said, “How much more …” (e.g., Luke 11:13; Luke 12:24, 28). If gold, which can be destroyed, is considered valuable, then how much more precious is our faith, which will not only endure but will result in praise, honor and glory when King Jesus appears. This is an apt comparison. When gold is refined, it is heated up until the dross (impurities) comes to the surface and is scooped away. Caution is required because if it is overheated, the gold will be destroyed — it will perish. The process is repeated until the gold is so pure the refiner can see his reflection in it. Likewise, God allows trials to come in order to refine us. Not to destroy our faith but to remove the impurities that hinder our faith, for it is our faith that overcomes the world and its present distresses (1 John 5:4). 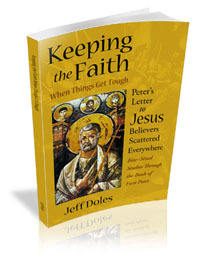 When God allows our faith to be “tested by fire,” it is so we may reflect the Lord Jesus. As John says, “When He is revealed, we shall be like Him, for we shall see Him as He is. And everyone who has this hope in Him purifies himself, just as He is pure” (1John 3:2). His glory will be revealed in us, and indeed, we will share in His glory, just as the moon shares in the glory of the sun by revealing it in the darkness. One day it will all be revealed in full, but even now it has already begun. Peter saw Jesus in the flesh, in His earthly ministry, but those to whom Peter writes had not, yet they loved Him anyway. The fact that they did not have the same physical experience of Jesus that Peter had did not matter one bit. They had the Holy Spirit in them to reveal the Lord Jesus to them (see v. 2) and that was quite enough for them to fall in love with Him. Though they did not presently see him, they believed in Him anyway. Faith does not require sight! Paul said that “faith comes by hearing, and hearing by the Word of God” (Romans 10:17). The Holy Spirit takes the Word of God, the preaching of the good news about King Jesus the Messiah, and reveals Him to us. Not only did they believe, they “rejoiced” — there’s that word agalliao again — they “jumped for joy” because of Him. 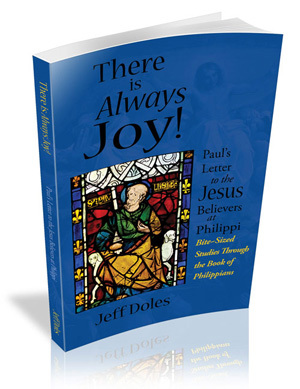 Not only joy that was exuberant and ecstatic, but “inexpressible and full of glory.” It is a joy that words cannot contain, a joy that reveals the glory of God, a joy that makes present tests and trials pale by comparison. 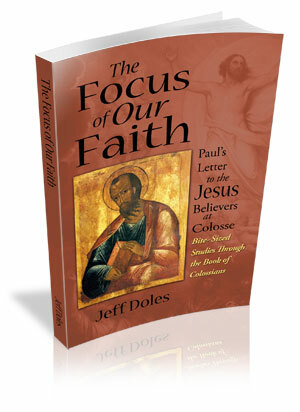 It is a joy that lays hold of the goal of our faith, the salvation of our souls. The Greek word for “salvation,” soteria, means to rescue, preserve, prosper, restore to health and well-being. Peter has already spoken of it as something to be revealed (future tense) in the “last time,” but here he speaks of already receiving it (present, continuous tense). The future is breaking into the present and we get to experience more and more as we overcome, through faith, the various trials of the present. The Greek word for “receive” here, komizo, is about receiving what has been promised. In King Jesus the Messiah, we have received wonderful promises and we can begin to experience their fulfillment even now. Present distresses get swallowed up by the inexpressible joy of God’s salvation already coming into the world.